3) Why did the all knowing Balaramaswamy kill Romaharshana? 4) Did Balarama see Parasurama during his teerthayathra? 5) Is there any reference of Venkatgiri in Srimad Bhagavatham other than the reference in Balaramaswamy’s teerthayatra? 1) Krishna is Sarvaantharyami. Hence if the agrapooja ( the first pooja) is done for SriKrishna then it will result in the worship of all beings. 3) It shows the faith that Yudishtira had in Duryodhana. 4) We can win the hearts of all only by humility. 5) Suka recited the story of the curse of Jaya, Vijaya by the Sanakadis. 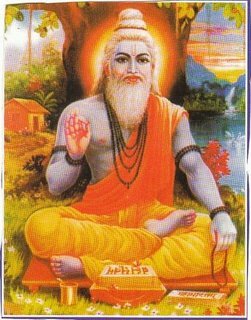 Wanting to narrate the third janma i.e., Sisupala-Danthavaktra, he started reciting the Rajasuyayaga.